The Nanotec® Ag+ Alkaline Water Bottle combines good looks and functionality to not only replace all other water bottles and bottled water, but to be THE source for your water. Your body is constantly maintaining a delicate acid-alkaline balance. Unfortunately, the Standard American Diet is rich in acidic substances and foods including meat, dairy, processed foods and refined sugar. As your body tires to adjust for acidity, it borrows from your alkaline reserves, which can eventually result in chronic disease. Drinking Ag+ Alkaline Water can help your body more effectively maintain its acid-alkaline homeostasis without borrowing from valuable reserves, supercharge your immune system, balance your body, and deliver optimal hydration. FIR Beads to revitalize your water and create…. 1. What kind of water should I use? We highly recommend using purified or filtered water, since the water bottle does not filter water. The bottle will create alkalized antioxidant water with any type of water that you put it in. 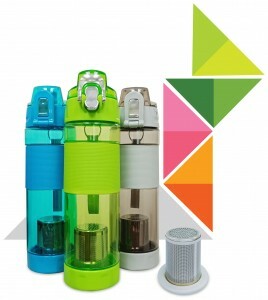 The Nanotec® Ag+ Alkaline Water Bottle is designed and developed to be used with water. 2. 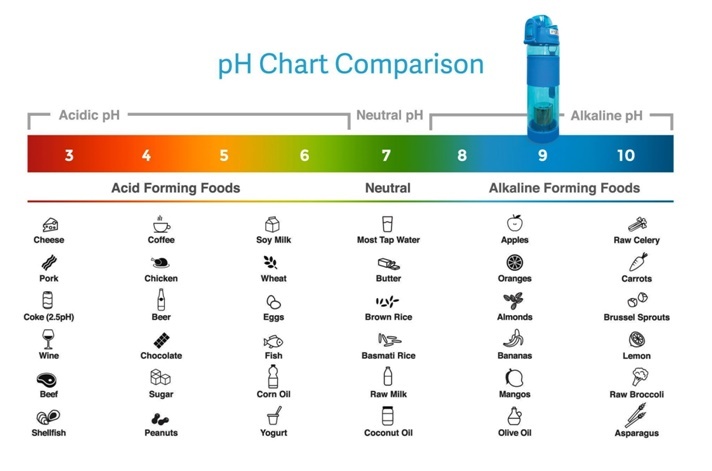 How long does it take to alkalize the water and how high does the pH increase? The water bottle will start alkalizing the water immediately, and it typically takes 15-25 minutes for the water to reach an optimal level of over 8 pH. The Ag+ Vigor Alcali Beads were formulated so that the pH would level at around 9 pH, depending upon the source water. pH stands for the power of hydrogen, which is a measure of hydrogen ion concentration. The pH scale ranges from 0-14 used to measure how acidic or alkaline a substance is. A pH of 7 is neutral. A pH less than 7 is acidic, and a pH greater than 7 is alkaline. If you were curious, it was invented by Danish chemist S.P.L. Sørensen back in 1909. The Oxidant Reduction Potential (‘ORP’) is a measurement of the presence of oxidizing agents in drinking water. A positive ORP indicates oxidation (aging/deterioration) potential whereas a negative ORP indicates antioxidant (anti-aging/beneficial) potential. Most tap and bottled water typically have a positive ORP. The Nanotec® Ag+ Vigor Alcali Water Bottle decreases the ORP to a negative level in as little as 5 minutes to create antioxidant water. 5. What is micro-clustered water? A water molecule is made of two hydrogen atoms and one oxygen atom to make up the commonly known H2O “water” molecule. Not so commonly known is the water comes in clusters of molecules, typically up to 13 molecules in tap water. The FIR Beads within the bottle reduce cluster count to allow for greater permeability within the cells to quickly hydrate and replenish. 6. What is the bottle made of? The Nanotec® Ag+ Alkaline Water Bottle is made from the highest quality premium tritan material, we use a much higher premium tritan material that has superior corrosion resistance. So the bottle is naturally non-toxic, BPA Free and liner free. 7. How lo ng do the Ag+ Vigor Alcali Beads Diffusers last? The Ag+ Vigor Alcali Beads will last approximately 1,000 litres uses based on the 2.5 litres a day. The Ag+ Vigor Alcali Beads Diffuser on the bottom of the bottle can be replaced with a new Ag+ Vigor Alcali Beads Diffuser. 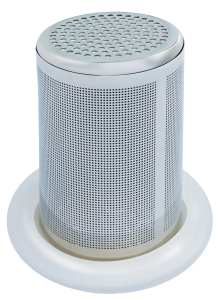 Additional Diffusers can be purchased with your Nanotec® Ag+ Alkaline Water Bottle. Replacing the Diffuser within the intended lifespan will ensure you a consistently created optimal alkaline water.